-- Select a Size -- X-Small/Small - Out of Stock! Medium/Large - Out of Stock! 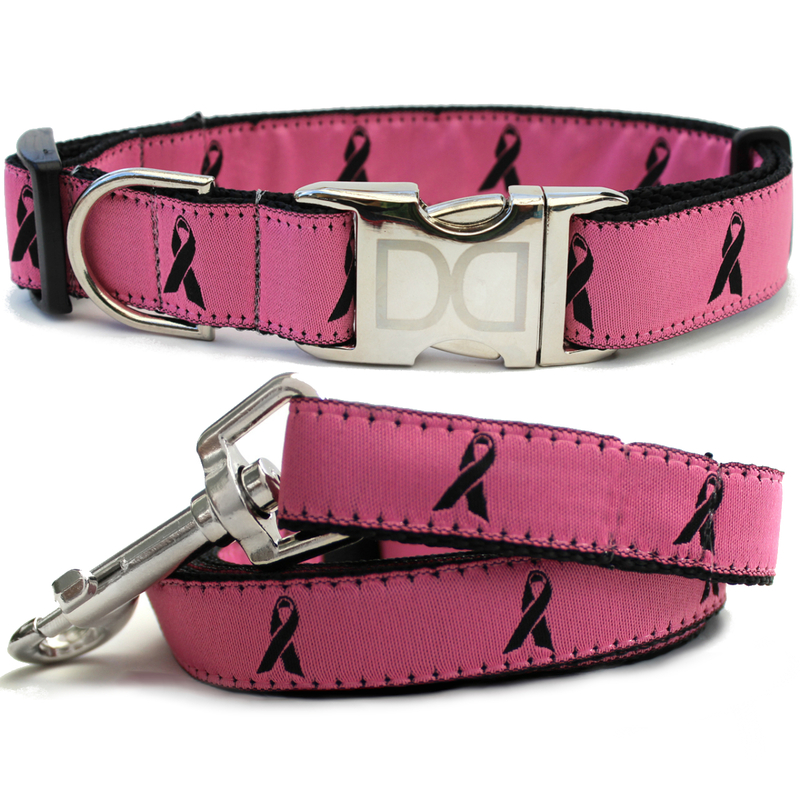 In honor of our continuing support to find the cure to breast cancer, we're pleased to offer this Cancer Awareness Dog Collar and Leash Set by Diva-Dog. We love the theme of this worthy cause. 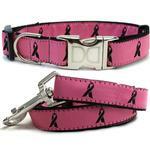 Your dog will proudly walk for the cure in this durable and fashionable set. 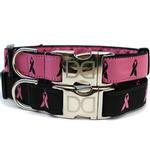 The durable nylon with a pink polyester ribbon overlay has quintuple-reinforced stitching. The buckle is metal for a secure closure. This design is exclusive to Diva-Dog and is made in the USA! Also available in black. 10% of the proceeds of this set will be donated to the Susan G. Komen For The Cure Foundation by the manufacturer. Teacup: Collar: 5/8" x 6-10". Leash: 5/8" x 48"
XS/S: Collar: 5/8" x 10-16". Leash: 5/8" x 48"
M/L: Collar: 1" x 16-24". Leash: 1" x 48"
Just too precious !! both outfits I ordered! One thing I wish the sizes were by weight. The last outfit I got did. Thanks for the wonderful clothing.